Absolut Custom Glass Systems is a commercial venture dealing in glass pool fencing, glass balustrades and commercial glass installations. This organisation has acquired great popularity over the last fifteen years. These products are meant for security and ornamentation. The safety standards applicable in Australia are followed by this organisation. The highly proficient team of Absolut Custom Glass is a great asset and is capable of fulfilling the unique requirements of customers. The products carry a ten year structural guarantee. We specialize in all aspects of fencing. Including but not limited to privacy screens, gates ( including motorised ), balustrading, commercial noise barriers and residential acoustic panel fencing, as well as customised projects such as pool pump covers. Contact Us Contact us for a FREE QUOTE (07)55 241 842 or info@frontlinefences.com.au Contact us today for a FREE QUOTE on Supply and Installation of all types of fencing.FREE QUOTE Frontline Fences and Lattice is a locally owned and operated business that has been serving the Tweed and surrounding areas since 1979. Catering for the residential, commercial and industrial client as well as building companies and property developers, we provide all our clients with the right advise and highest quality product, which has ensured our continued success We specialise in all aspects of fencing including but not limited to privacy screens, gates ( including motorised ), balustrading, commercial noise barriers and residential acoustic panel fencing, as well as customised projects such as pool pump covers. Feel free to contact us for more information about the products we offer or for a FREE QUOTE. 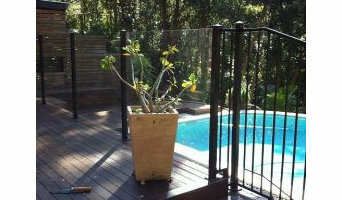 Mermaid Fencing is your one stop shop for all your pool fencing needs on the Gold Coast. 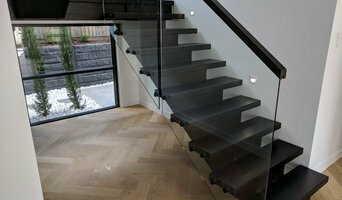 Leading Edge Frameless Glass is one reputable company that understand their roles in ensuring that their customers get the Stainless Steel Fittings and frameless glass fencing of the right quality when buying. When you go to the market when looking for that high quality you need, we will always be there ready to provide you with what you want even as you make your choice. Why choose US? We as a company offer modern quality that you would need when compared to what the market provides. We will always ensure that we offer our customers what they need even as they make their choices from the given market. We have affordable prices that would make you save money when seeking the best options you would need from the given market. In conclusion, choose us at Leading Edge Frameless Glass and will ensure that we offer you the quality Stainless Steel Fittings & frameless glass fencing that matches your needs. We specialise in supply and installation of frameless glass pool fencing, semi frameless glass pool fencing and glass balustrading. 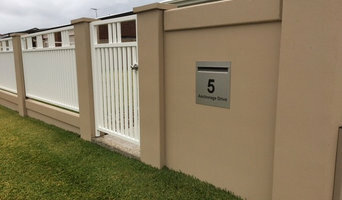 What does a fencing and gate contractor in Tweed Heads West, New South Wales do? 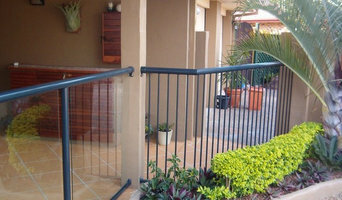 Find a fencing and gate contractor in Tweed Heads West, New South Wales on Houzz. Scroll through this page to find professionals in your area that can design, supply and install pool fencing, driveway gates, garden fencing and more. You can browse their portfolio, read reviews and see how other homeowners rate their service, expertise and product.